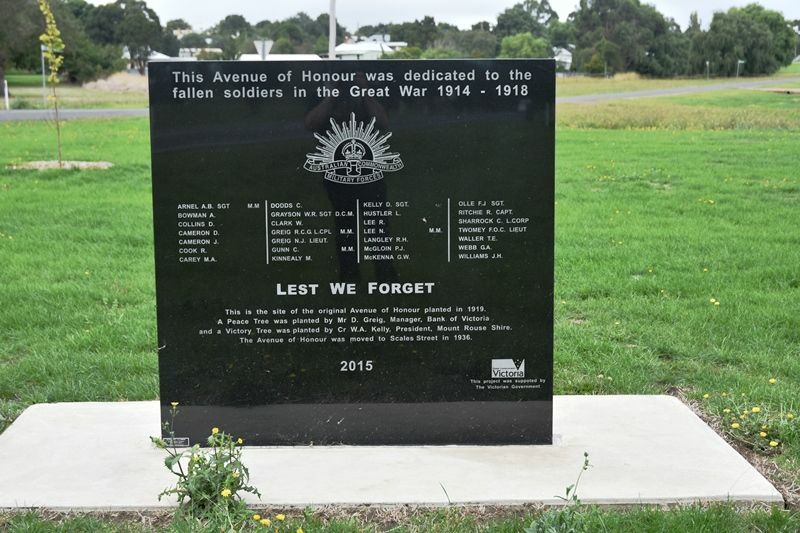 A monument commemorates the original avenue of honour which was planted in memory of those who died in service or were killed in action in World War One. Trees were originally planted in 1919, and in 1936 moved to Scales Street. This is the site of the original Avenue of Honour planted in 1919.
and a Victory Tree was planted by Cr. W. A. Kelly, President, Mount Rouse Shire. The Avenue of Honor was moved to Scales Street in 1936.